Today we hear or read of another casualty. A man or woman has lost his or her life in combat. The flame has been put out on a bright future. Who knows the cost to mankind? A humanitarian who would have improved society's lot. The void almost unnoticed can never be filled. Life goes on as many do not even give it a second thought. But loved ones cannot move on without pain and heartache. A question as to why this life is no more? A question to understand the meaning of this sacrifice? A story left untold and known only to their heart. Not understood by many - felt by all who love their fellow man. Must be appreciated - must be honored - must demand a tear! Douglas Alley was 20 years old when enemy shrapnel ended his life in Vietnam over 35 years ago. 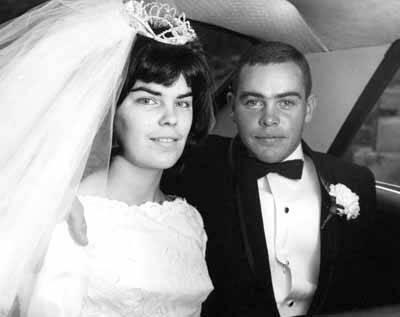 He was married while home on leave in November 1965. 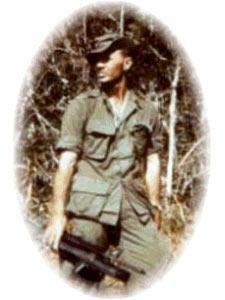 Three months later, Douglas was killed while on patrol near Cu Cui, 25 miles north of Saigon, a mere sixteen days after his arrival in Vietnam. He and his young wife Pat never had a chance to share a home of their own. A grainy newspaper picture of Douglas reveals a casual and confident young man, one eyebrow raised, a hint of a smile. A boy trying to look like a man - killed in action after less than three weeks in Vietnam. A week after Douglas' death, the editorial page of the Wilmington Evening Journal included a quote from a man who may have known Douglas: "That boy used to cut my grass ... this is really the first time that the war has come home to me. Why, I knew that boy well.... I knew him well." 122 Delawareans are included in the over 58,000 names inscribed on the Vietnam Veteran's Memorial. Many of us have no direct connection to these brave men and women. As the years go by our connection to these lost souls becomes even more distant. Many of the fallen have no direct descendants to keep their memory alive. We must not let them be forgotten. That is what Memorial Day is about - remembrance and honor. In my own small way, I have come to know Douglas Alley. This Memorial Day, he will be in my thoughts. Just one of the many young soldiers who have fought and died for our country ... who will cut the grass no more. Tom Casti lives in the Woods of Yorkshire development in Newark, and he is working with neighbors and the City of Newark to place a memorial to Douglas D. Alley in the park on the street named in his memory. We think of you so often and miss you. We come here today to pay tribute to you. Our thanks for the great sacrifice you made for all of us is beyond words. Please know we keep you in our hearts and minds, and always will. Memories of you are treasures never to be forgotten. In addition, Sergeant Rathbun's German shepard was killed in the action, and the dog's body was brought out with the men he served. According to one report, he was killed while mauling an NVA soldier - and had a piece of the soldier in his mouth when he was brought in. 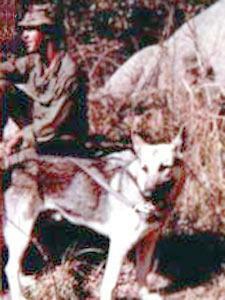 Some reports give the dog's name as "Thunder", but the Vietnam Dog Handlers' Association shows only one dog killed on 25 May 1967 - Rex, tag number 8X60. Or was it Bill, Billy, Will or Glenn that you preferred to be be called? I came across your picture on another site, placed by your sister Gay. She talks about how much she misses and loves you ... I understand how she feels. We both have something in common. We share the same middle name and same last maiden name. 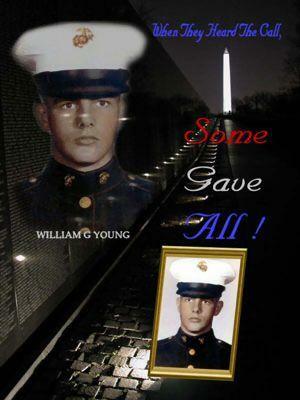 We both have brothers named William Young, who were brave Marines who chose to give up their future for the freedom of their country in Vietnam. Also your birthdays were two days apart. I know one day that when I go to Heaven, I will know you instantly and the first thing I'll say is "Well Done, Marine!". I can't wait to that wonderful day. I will never forget the over 50,000 men whose names are engraved on that black granite Wall in Washington DC, and the brave men who came home, and our MIA's ... Thank you all. Dale Eugene Wayrynen - Mc Gregor, Minnesota. Rank and organization: Specialist Fourth Class, U.S. Army, Company B, 2d Battalion, 502d Infantry, 1st Brigade,101st Airborne Division. Place and date: Quang Ngai, Province, Republic of Vietnam, 18 May 1967. Born: 18 January 1947, Moose Lake, Minn.
For conspicuous gallantry and intrepidity in action at the risk of his life above and beyond the call of duty. Sp4c. 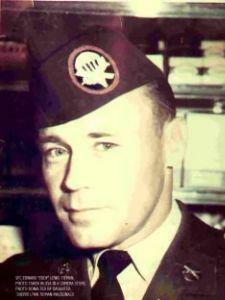 Wayrynen distinguished himself with Company B, during combat operations near Duc Pho. His platoon was assisting in the night evacuation of the wounded from an earlier enemy contact when the lead man of the unit met face to face with a Viet Cong soldier. The American's shouted warning also alerted the enemy who immediately swept the area with automatic weapons fire from a strongly built bunker close to the trail and threw hand grenades from another nearby fortified position. Almost immediately, the lead man was wounded and knocked from his feet. Sp4c. Wayrynen, the second man in the formation, leaped beyond his fallen comrade to kill another enemy soldier who appeared on the trail, and he dragged his injured companion back to where the point squad had taken cover. Suddenly, a live enemy grenade landed in the center of the tightly grouped men. Sp4c. Wayrynen, quickly assessing the danger to the entire squad as well as to his platoon leader who was nearby, shouted a warning, pushed one soldier out of the way, and threw himself on the grenade at the moment it exploded. He was mortally wounded. His deep and abiding concern for his fellow soldiers was significantly reflected in his supreme and courageous act that preserved the lives of his comrades. Sp4c. Wayrynen's heroic actions are in keeping with the highest traditions of the service, and they reflect great credit upon himself and the U.S. Army. I arrived in country in April or May and went out on a few dicey patrols. We heard that a big patrol was coming in which the best men of each company would be picked because it was extremely dangerous involving a well built up NVA sight near what I believe was called Yellow Brick road. Anyway it was around the Laotian/Cambodian border. What eventually transpired is that the powers that be decided to send Team Albrook out because they had a lot of experience and unfortunately many of the men were short timers. On that note I really pressed them to take me. I was turned down because I didn't have enough experience. I remember that everyone left their wedding bands or valuables behind and wrote letters to their significant others as they did not expect to return. Sadly they did not return. I remember well that when I first came over a few rough things happened and I was in fistfights with some of the crusty old veterans who did not take to me too well. The men solved issues out back with fists. The really touching thing is that one of the men came up to me the night before going out on that fateful mission and pretty much shared his heart with me and how he wanted to come out of this war a better person. He had a desire to be caring and kind with people. He said he saw this in me. It really shook me up and I felt very humble in his presence. He was really a damn good Recon Marine and somebody that I respected. Sometimes when we are being ourselves and people seem to dislike us.it could be different than we imagine. One thing that I got clear about as a Marine and a Recon Marine is to be who you are and be authentic. I wasn't trying to be like everyone else. Some of the leaders or a "few Good Men" encouraged me to stay on my path and not change. Some of those men had mentored me- telling me things that I needed to hear..How to cross open country like Charley Ridge, how to work with my M-60, how to stay grounded and not react in the wrong way in firefights. Sometimes when as a new guy facing exhaustion they had very tough and physical things that they did to teach me. It was okay as it was always a lesson well learned. Those men of Team Albrook went out the next day and they were shot down by an RPG rocket. I know they gave their all and I am alive today because they cared. So since I have arrived home in the states in 69.there has not been a day that i do not remember them. Sometimes I go to a quiet VA graveyard and just sit quietly expressing my gratitude for them.sometimes i ask them for advice if i am having a challenge with depression or PTSD. I feel them telling me to enjoy each moment, each breath, and I hear them telling me that they are in a very good place and that they have peace and love in their lives. I have felt a lot of tears down my cheeks over the days, weeks, months and years. I fully understand how much I have to be grateful for and what it means to be a warrior and cover someone�s back. I feel that I did well on my tour it was the coming home where my war started...a lost marriage to the woman that I loved, nightmares, flashbacks, lost jobs. It�s not to be regretted at all. It all builds character and makes us who we are. 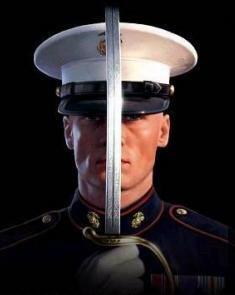 We will never stop being Marines. or men who care and fight for ones we love and what we love. Today I relate to the men on Team Albrook as an example to give what I can to the new generation..The men coming home from Iraq and Afghanistan..Albrook and my Recon brothers have inspired me to be a giver not a taker. We are building a unique slide guitar for a Vietnam vet who has no use of his hands. He lost almost everything physically when he got in a firefight trying to get POWs out with the 101st Screamin Eagles in Cambodia/Laos. He shared his story with us, one that he has kept secret all of these years..It was heart wrenching but what a brave and selfless man he is. 'This man has shared with us his vision that any quadriplegic should be able to play a guitar if it is designed correctly. So we learn from a few good warriors to pass it on. My dad landed on Normandy Beach on D-Day as a 101st Screamin Eagle. He never talked about the war to me. I could see his courage in his character. As a boy, I saw how he treated all people, fairly and with respect. I once saw another man in a rage yelling at my father and my dad calmed the man down by not talking it personally and graciously responding to the man. Marines are about doing. Need I say more. I'am looking for information on Felipe Herrera service #2341619 casualty date 680920 SVN, I'am looking for pictures or where I can purchase a copy of his basic training album, I hope you can help me in this matter or lead me to where I can find the information. . I use to go to school with Felipe back in San Antonio, Tx. He was a little older then I, He looked out for me against the school bullys. I moved to California in 63 and lost track of him, In 73 I was in Lackland AFB, Tx. I went to look for him in the old neighborhood I asked one of the guys if he had seen Felipe around and he told me that he was gone I remember the guy's name was Joe and what he meant to say was KIA. I found his marker at Mission Burial Park, It had his company as Echo Co Recon Bn etc, DSC. (Army) no mention of the Navy Cross. The Catholic school we went to was an old Indian Spanish mission San Francisco Dela Espada. I remember him drive a 1954 Black Ford coupe and remembered him as soft spoken, athletic, Kaki wearing guy! we had to wear a uniform. The short years that I knew him and I never told him thank you for looking out for me. Those mission schools were rough. When ever I'am in San Antonio I stop by his grave, I wish I could have said something when he was around. I f I can help in any way to honor this Hero let me know, and yes you can give my email. One question. Do you have to be a Marine to join the Association? Anybody out there with 1st Recon that ran under Lynch Law Feb 68-May 68 & August 68? I was the team leader and former 2nd Lt. Let me know As it turns out I was with 5th Recon (Camp Pendleton) and we got called up after Tet 1968 hit. We were attached to 1st Recon as Company B, 5th Recon/1st Recon. We just figured it as 1st Recon when we got "in country." Message is: JIM WAS IN MY PLATOON IN VIET-NAM,WITH OSCAR,J.D. ,ME,CALLED THE "WOP"(ITALIAN) NICKNAME,DOC MEYERS,SGT.GETTY,HARRY REILY.TRYING TO LOCATE HIM OR OTHER 1stRECON MEMBERS OF THIS PLATOON. is looking for anyone who served with 5th Force then 1st Recon or 1st Force in Nam. I am looking for anyone who was on a 24-man Recon Team that was extracted by two CH-46 Helos on 19 August 1968. I was on one of my first missions in country, and had the pleasure of plucking 12 of the team members off the mountain top (surrounded by NVA), and going in to find a missing team member (miscount) the second time. This was an emergency Recon extract called into DaNang, and we (two CH-46 helos from HMM-164), diverted to pick the �Marine�s Finest� off a hill top. After the mission we shut down to check for hits and then proceeded to the 1st Recon compound to offload the team members. As I remember, no one was hit and all got out. I just wanted to say �Semer Fi� to those men and to let them know I was proud to have been able to support them.